In ushering in the New Year, it’s only right that we celebrate the departing one. I’m delighted to say that 2014 wrapped up on a high note, with several surprise last minute albums that came out of the woodwork. D’Angelo resurfaced from musical seclusion to drop off his long-awaited release “Black Messiah” and Azealia Banks released her eclectic and defining album “Broke With Expensive Taste”. The end of the year is typically punctuated by “Best Album” lists, those projects that seem to survive the ruthless cuts and tectonic shifts of one’s current musical feed. Here at In Steady Rotation, I’m no exception. There were a select few albums that consistently remained on my playlists, becoming my hip-hop mainstays in the face of an otherwise tumultuous and ever-changing musical library. 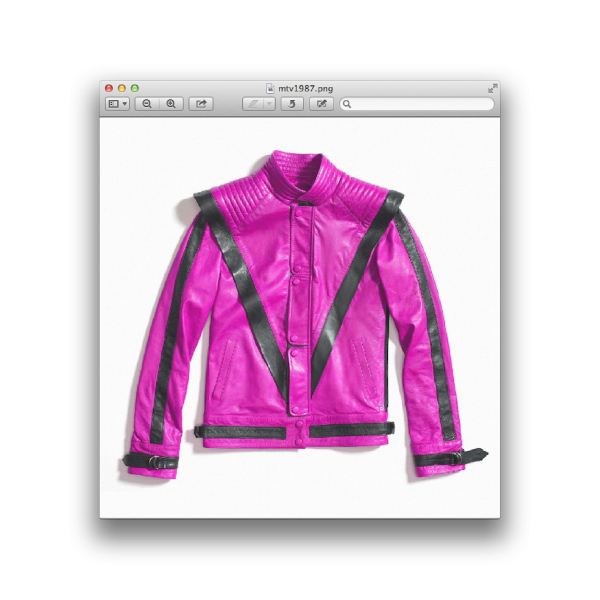 With that, I’m laying out my personal top five albums that are simply must-haves from 2014. Readers Note: I started In Steady Rotation this past April, and as a result, may have missed a few albums from the beginning of the year. For example, both Dag Savage and Isaiah Rashad were big misses (that I just discovered) that dropped in the coldest months of 2014, while I was off backpacking the warmer lands of southern Africa. It shouldn’t come as a surprise that my digital slow-drip of hip-hop goodies from the blogosphere and Soundcloud were temporarily shut-off during that period. Whoopsies. The Coney Island rapper drops off a stellar album that embodies the lyrical nostalgia of the 90s and breathes fresh life into the underground New York hip-hop scene. Your Old Droog damn near blew up the internet this year, making his mark as the elusive, painfully brilliant spitter that was erroneously labeled as Nas’ alter-ego. It wasn’t until an NPR article published in November that the record was finally set straight and his true identity revealed. 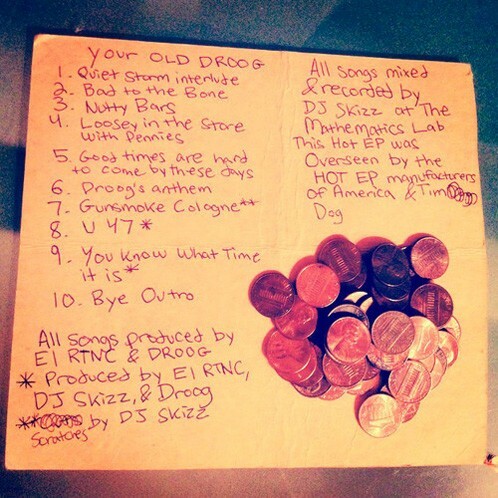 Since that article, Your Old Droog has made the rounds on the hip-hop radio shows, such as Sway in the Morning, Peter Rosenberg, and Show Off Radio, showcasing his lyrical prowess through some hysterically good freestyles. The man has a knack for hilarious pop-culture references, battle-rap takedowns and an encyclopedic passion for golden era hip-hop. If you haven’t managed to take a listen, check out his album below. 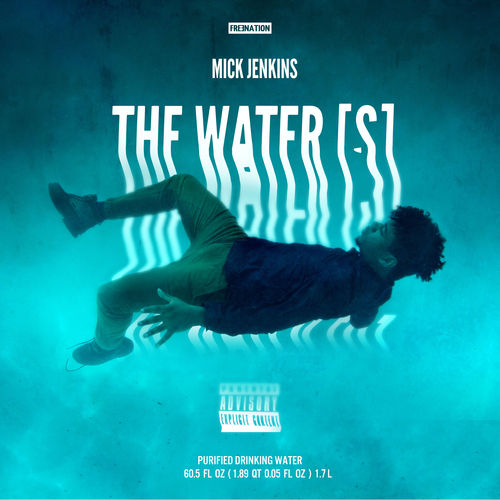 Mick Jenkins’ drowns in a project steeped in symbolism, using his lyrical prowess to deliver thematic simplicity with complex poetry and storytelling. Mick Jenkins dropped off one of the best albums of the year with his “The Water[s]” mixtape, an introspective journey through the rapper’s challenges navigating artistic purity while earning his dues in the saturated Chicago rap scene. Built off his previous project “Trees and Truths“, “The Water[s]” does in fact keep true to the central motif of water, highlighted in tracks like “Healer” and “Dehydration”. The album is spectacularly diverse in its production, while Jenkins’ flow switches up seamlessly to match the production value. Much like a vidalia onion, you need to keep peeling back the layers of Jenkins’ content, lending itself to exceptional replay value as you glean new messages from his work. Be sure to listen to it in its entirely below. Mac Miller wanders through the bizarre, humorous and dark recesses of his mind in a mixtape that provides the best portrait of the rapper yet. Mac Miller is an emcee that seems perpetually wrapped up in some kind of elaborate inside joke. Nearly all of his tracks are peppered with black humor, mocking both his own upbringing and the absurdities of the rap game. There’s of course the fact that he’s a white rapper in a predominantly black industry or the reality that he hails from the less than impressive hip-hop scene of Pittsburgh. 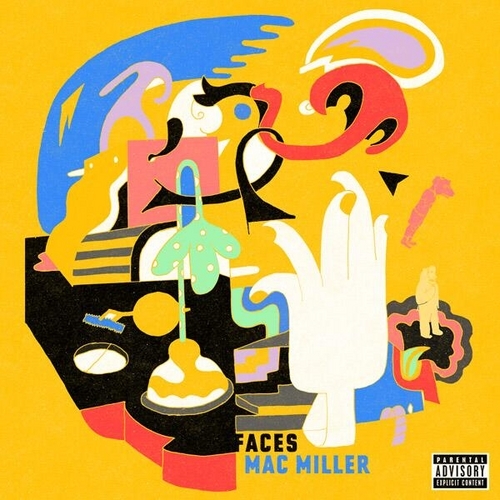 Yet throughout this roller coaster ride of a project, he manages to blend his sarcasm with a pointed seriousness that reveals Miller to be a force to be reckoned with, both in his consistently good rhyming and in his subject matter. Sure, he’ll laugh at his trials and tribulations, but beneath the surface, Miller is a profoundly complex personality more than capable of dropping 24 varied tracks of material. Listen to the full album stream on Soundcloud below. 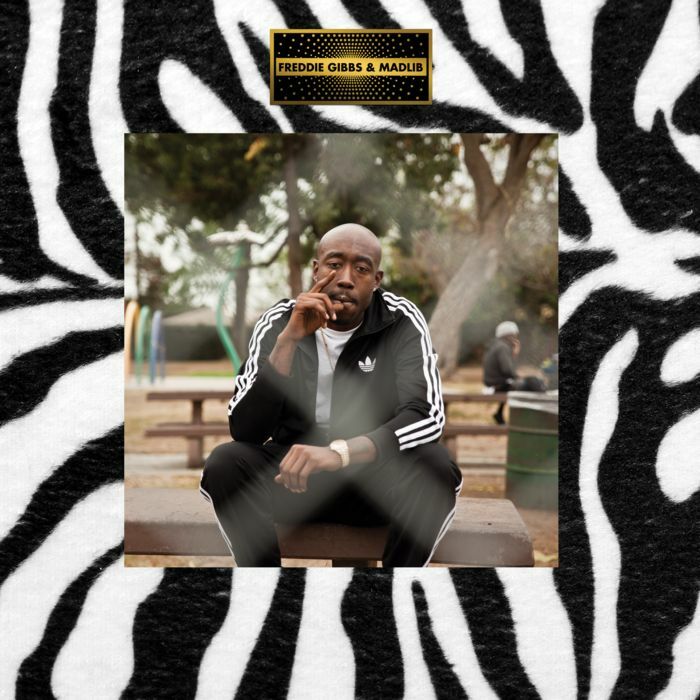 Freddie Gibbs soars over Madlib’s eclectic beats, continuing to evolve his gangster persona through a varied canon of flows, rhymes and subject matter. Freddie Gibbs has finally started to watch his relentless dedication, skill and originality pay-off in long overdue praise and commercial success. The Gary, Indiana based rapper first came into the limelight back in 2009 with the release of the “Miseducation of Freddie Gibbs“. Since then, he has pumped out an insane amount of increasingly doper projects, with his most recent, “Piñata”, garnering the most critical acclaim out of any of them. Gibbs takes advantage of Madlib’s beats to both show off his lyrical and gangster bonafides while simultaneously proving that he can adapt his style to the more unique production behind Madlib’s mixing. The album clocks in at well over an hour, and incorporates tracks from his previous mini-releases, including the Shame EP. Listen to the track below to get a taste of “Piñata”. Despite feeling dark and melancholy at times, Kevin Abstract manages to elevate himself beyond the limitations of teenage angst to find his creative voice. I happened to catch Kevin Abstract live this past summer at Brighton Music Hall, and can confidently say that he was the most bizarre act of the evening. His self-deprecating, punk rocker persona defined his on-stage performance, as he stomped around the stage, inaudibly mumbling his song introductions. Nevertheless, his overbearing humility and overt apathy left me intrigued. With the release of MTV1987, Abstract immediately lifted himself beyond his self-titled EP and showcased a cohesive project far more creative than those released by established emcees. At times it seems that Abstract comes across as nothing more than a disturbed, emotionally depressed teenager. Yet as the album progresses, Abstract begins to reveal that there is therapeutic value in his music and that his emotions are best communicated over a sample-laden, bass line. You can listen to the full album below, and download it from Mediafire.